Uganda Free Zones Authority (UFZA) is a body corporate under the supervision of the Ministry of Finance, Planning and Economic Development. It was established following His Excellency the President’s assent to the Free Zones Act, 2014 and started operations on 1st September 2014. The Authority is responsible for the establishment, development, management, marketing, maintenance, supervision and control of Free Zones in Uganda. In doing so, UFZA will take on the facilitative, licensing and regulatory functions. 1. What is a Free Zone? The Free Zones Act defines a Free Zone as ‘a designated area where goods introduced into the desidnated area are generally regarded, so far as import duties are concerned, as being outside the customs territory and includes an Export Processing Zone or Free Port Zone. Free Zones are Customs controlled areas where raw materials, goods, plant and machinery may be landed, handled, manufactured or reconfigured for export without being subject to import and export duties. 2. Explain the different terminologies used in describing Free Zones. This is a designated part of a Free Zone or territory in Uganda, where any goods introduced are generally regarded for the purpose of import and export duties and taxes, as being outside the Customs territory but are duly restricted by controlled access and where the benefits provided under the Act apply and where the East African Community Customs Management Act applies. A Free Port is a Customs-controlled area in which imported duty free goods can be unloaded, held (stored) or processed free of Customs duties before re-export. They incorporate large transport facilities like ports and airports demarcated and act as transshipment hubs. SEZ is a designated area that may or may not be a Customs controlled area. SEZs have economic and other laws that are more free market oriented than a country’s typical or national laws. SEZs are commonly used generically to refer to any modern economic Zone. In these Zones business and trades laws differ from the rest of the country. Industrial Zones are areas targeted at specific economic activities, say media or textiles, with infrastructure adapted accordingly. 3. What purpose will Free Zones serve? Enhance technological transfer and knowledge spill-overs. 4. Who is eligible to develop and operate in a Free Zone in Uganda? The activities of the projects for which the Developer or Operator seeks the Licence must be commercially viable and must be based on a suitable and credible Business Plan. 5. Can existing industries be licenced as Free Zones? Yes they can, provided they meet the licencing requirements as stipulated by the Free Zones Act, 2014. They should demonstrate an increase in new investment, adoption of new technologies, expansion of jobs, and other criteria to be set by UFZA. 6. Do existing companies manufacturing for export qualify to be licenced as Free Zones? Does the law act retrospectively? Existing companies manufacturing for export qualify to be licensed as Free Zones on condition that they meet the set requirements prescribed in the Act, one of which is to be registered for the sole purpose of operating in a Free Zone. 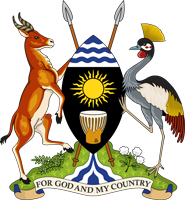 Section 25.3 “A developer shall be a company incorporated or registered in Uganda for the sole purpose of developing and operating a free zone”. Therefore, existing companies should register another company for the sole purpose of developing or operating a Free Zone. The activities should not endanger the environment. 8. What are the different licences issued by the Authority? This is a license which is issued to Developers who are investing in infrastructure development like construction of industrial buildings and Warehouses, development of internal roads, landscaping and fencing, as well as provisions of utilities like power, water, sewarage systems and telecommunication lines. Manager’s Licence: This licence is issued to a Business Enterprise which will undertake management of a Free Zone. Operator’s licence: This license is issued to a Business Enterprise authorising it to carry out any service or other industry including manufacturing or processing, commercial activities like breaking bulk, re-packaging, re-labelling and trading export -oriented services. 9. What is the procedure for getting a licence in Free Zones? Tax Clearance Certificate, where applicable. The Licensee is required to start operations within 12 months from the grant of the Licence. The Authority works with the Developer/Operator/Manager throughout this process. 10. What incentives are available to a Developer /Operator who establishes a/within a Free Zone? A deduction of 50% off the cost base of the property is allowed on eligible property put into service for the first time outside a radius of 50km from thr boundaries of Kampala. Serviced physical infrastructure facilities and buildings within the Public Free Zones. These incentives will allow our Developers and Operators to produce and/or process large quantities and better quality goods at a relatively competitive lower cost for the export market. 11. What do communities stand to benefit from the Free Zones? The local farmers in the community will have an opportunity to engage in contract farming with the investors in the Free Zones and benefit from improved production methods and improved technology uptake. 12. Where would you recommend Developers and Operators to set up Free Zones in Uganda? The Authority has carried out a National Mapping Exercise to identify areas suitable for location of Free Zones in Uganda but the Private Sector has leeway to select location for the privately developed Free Zones. Free Zones shall also be located in proximity to raw materials required for the Free zone activities such as crops and livestock for Agro-processing and minerals. 13. Where have these Free Zones worked or been successful? Free Zones programs across the globe have been growing progressively in the last four decades. By 1975, EPZs had grown from 79 in 29 countries to 3,500 EPZs in 130 countries employing 66 million people as reported by the International Labour Organisation in 2006. Countries in; East Asia, Central America, the Caribbean basin, the Middle East and recently in Sub Saharan Africa have successfully used Free Zone Schemes as an instrument for economic development. The Shannon Free Zone in Ireland is the world’s oldest EPZ, established in 1958. Located at Shannon International airport, there are presently more than 120 companies employing over 7,500 within the zone. Jebel Ali in the United Arab Emirates (UAE) is also one of the most successful Free Zones in the world. In Africa; Free Zones started over four decades ago. In Liberia and Senegal the Zones schemes began in the early 1970s. In 1981, Mauritius started a single factory based EPZ program whose success led to a wave of zone development throughout the continent in the late 1980s. East, Southern, and West Africa followed. By 2003; Africa had developed 66 Economic Zones in 32 countries. The economic focus of most zones in Africa has been centred on value addition mainly in apparel/textile and food processing. Therefore, Free Zones are not a new invention. For as long as organized societies have engaged in external trade, there has been a need for secured areas at ports or in strategic locations along trade routes where commodities can be stored or exchanged. These areas became Free Zones when the commodities circulated free of local prohibitions, taxation, customs duties, and excise. 14. Uganda is a landlocked country. Isn’t this a negative attribute for us as a country? Uganda is land-linked and enjoys a geographical location at the heart of Sub-Saharan Africa. It is strategically positioned and easily accessible to neighbouring markets in DRC, Central African Republic, Kenya, Rwanda, South Sudan, Zambia and other Central and Southern African countries. With Government plans to develop the standard gauge railway, linking the whole of East Africa up to Ethiopia through S. Sudan and plans to develop the Entebbe Airport to become a regional and continental hub. Access to and from the country will be made a lot easier and will provide immense opportunities for the country. Uganda’s participation in COMESA, EAC and the proposed tripartite will create a large market base for companies located here. 15. What comparative advantage does Uganda have over fellow EAC States? Uganda is peaceful and politically stable; Uganda ensures tight security for both investors and their investments with excellent investor support facilities all guaranteed under the Constitution and the Investment Act (1991). With this, the investors are assured of having secured ownership, transfer of profits and capital without any interference. Commercial disputes are also determined through a competent commercial court system under the Judiciary. Uganda is also a member of various Trade Treaties like the Common Market for Eastern and Southern Africa(COMESA), an organization representing a total population of 430 million in 20 countries. Uganda benefits from the African Growth and Opportunity Act (AGOA) with respect to the US market and similar advantages vis-à-vis the markets of Canada, Japan and other countries. Others accessible markets also include the Duty and quota free access into China (quota free access for over 6,000 products), and the Generalized System of Preferences (GSP) scheme. The Government of Uganda offers total and maximum support to the Private Sector. It has been able to fulfill this commitment through private sector dialogue in policy formulation through business and investment associations e.g. Private Sector Foundation Uganda, Uganda Manufacturers Association, Uganda National Chamber of Commerce and Industry, among others all of which are setup with the objective of protecting the interests of investors in the country. Uganda pursues a mixed Economy and her dynamic and diversified private sector comprises of Small scale Businesses, Medium sized businesses and multinational companies which provide a wide range of manufactured goods, services and agricultural products for both local consumption and export. Uganda currently has a population estimate of over 34,900,000 and with the youngest labour force of over 60%.The country also presently produces over 15,000 University graduates annually implying that Uganda’s abundant labour is highly skilled and competent. Uganda has established a remarkable track record of macro-economic stability since the launching of its economic reform programme in 1987. Growth has been strong, inflation has been low and poverty has been falling. The country has a liberal foreign exchange regime, with a stable, market-driven exchange rate and no restrictions on the movement and ownership of capital / investments. 16. What are the Authority’s plans to engage the Ugandan Private Sector or are you only rolling out a ‘red carpet’ for foreign investors’? According to the Act, the composition of the Board is such that the Chairperson and the Vice Chairperson are individuals from the Private Sector. This means that the Authority is directly linked to the Private Sector through its Board Chairpersons. Furthermore, the Law does not limit the application for developing and operating Free Zones to only foreigners. Anyone who is interested in operating a Free Zone is free to apply and will be considered, provided they meet the conditions spelled out in the law. 17. What is the minimum land one requires to develop a Free Zone? The law does not set any conditions to the minimum space or land that one requires to operate a Free Zone. Section 3.1 of the Act states that the Minister may, on the recommendation of the Authority, by Statutory Instrument, declare any building or area of land in Uganda to be a Free Zone. 18. What is the role of government in infrastructural development? The Authority, in executing its mandate, is obliged to liaise with other Government Ministries, Departments and Authorities to facilitate the development of the necessary infrastructure that will enable investors establish in the Free Zones. Before any investor is given a license to operate a Free Zone, the Authority will carry out due diligence on the investor as stipulated by the Law. Section 29 “The Authority shall, in considering an application for a Free Zone License, require that the applicant demonstrates capacity to develop and manage a Free Zone under criteria prescribed by the Minister. Section 30.3 “In considering the approval, the Authority shall determine whether the conditions prescribed by this Act and other laws have been complied with and whether the application is in compliance with the development objectives of Uganda”. 20. Isn’t there duplication of roles with other Government Agencies like UIA, URA or UEPB? No, there is no duplication of roles. As much as these roles might seem similar, our distinct mandate is to facilitate, license and regulate entities developing and operating in Free Zones in Uganda. However, in aspects to do with investment promotion, Customs control, trade and market promotional services, quality assurance and standards, we shall be working closely with the other Government Departments and Agencies. 21. Are there already created Free Zones in Uganda, or those in the offing? The Authority has so far licensed nine privately owned companies to develop Free Zones in Uganda. More Applications have been received from potential investors and are currently under consideration by the Authority. In conclusion, the Free Zones concept is beneficial both for the Ugandan economy and for individual Ugandans. We, at the Uganda Free Zones Authority, are working with the Ugandan business community and attract foreign direct investment for the development of the country.